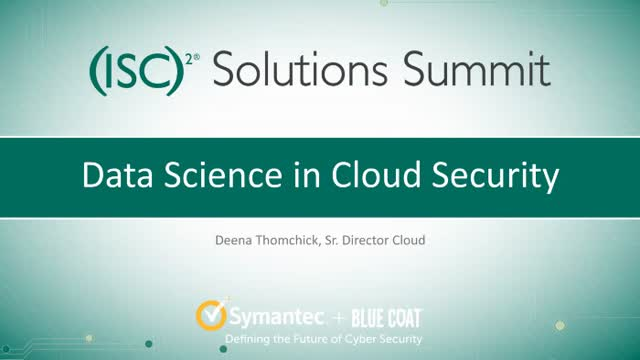 This session will examine how modern data science and machine learning technologies can be applied to cloud security to address scalability and protection from the increasingly complex threat landscape. Such techniques can be leveraged to continuously monitor cloud activity and identify threats related to compromised accounts or malicious activity. These techniques can also be used to dynamically identify new cloud apps and services, and improve accuracy of automated content inspection - ensuring that sensitive data is properly handled in the cloud. By leveraging these modern tools, enterprise organizations can improve their overall security posture while reducing the amount of time and effort required from their security professionals.